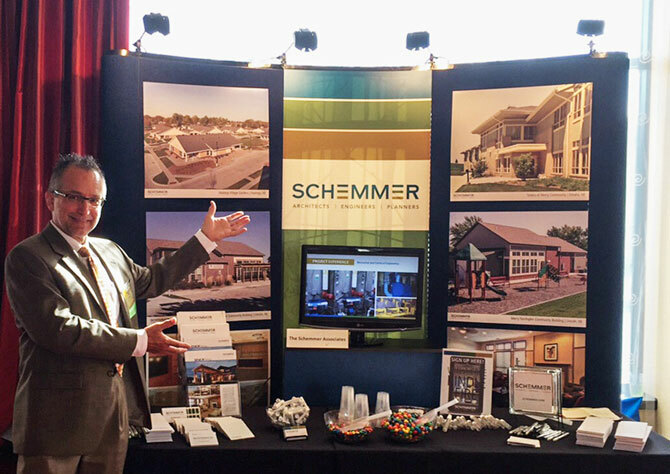 Schemmer's Bill Wedeking, AIA, LEED AP, attended the 2015 HousingIowa Conference held September 9-10th at the Coralville Marriott in Coralville, Iowa. The Iowa Finance Authority (IFA) celebrated 40 years of successful endeavors in affordable housing, as well as future planning. According to IFA.com "The HousingIowa Conference is Iowa's premier housing conference for advocates, developers, managers, owners, lenders, Realtors and homeless service providers offering sessions with national trainings and education sessions in three tracks: Affordable rental, Affordable homeownership and Homelessness."